Preface. Part I. Cellular Functions. Stress meets development in p38 MAP kinase (T. Sudo, M. Maruyama, H. Osada). Molecular dissection of cytotoxic functions mediated by T cells (T. Kataoka, K. Nagai). Molecular imaging of the cytoskeleton using GFP-actin fluorescence microscopy (Y. Yan, G. Marriott). Golgi-acting drugs: inducers and inhibitors of Golgi dispersal as probes to analyze Golgi membrane dynamics (A. Takatsuki). Regulation of protein sorting and trafficking between the endoplasmic reticulum and the Golgi apparatus in yeast (A. Nakano). An unexpected gift from fungicide metabolism studies: blasticidin S deaminase (BSD) from Aspergillus terreus (M. Kimura et al.). Isolation and analysis of genes from phytopathogenic fungi (T. Motoyama et al.). A novel type of Na+/H+ antiporter: its unique characteristics and function (S. Kosono, M. Kitada, T. Kudo). Part II. Nuclear Functions. Genetic analysis of the genes involved in mitosis in fission yeast Schizosaccharomyces pombe (Y. Nakaseko, M. Yanagida). Intergenomic transcriptional interplays between plastid as a cyanobacterial symbiont and nucleus (H. Takahashi, K. Tanaka). From viral RNA genome to infectious ribonucleoprotein complexes through RNA replication (K. Nagata). Mechanisms of regulation of eukaryotic homologous DNA recombination (T. Shibata, K. Mizuno, K. Ohta). Part III. Protein Functions. Studies on photoreactive enzyme - nitrile hydratase (I. Endo, M. Odaka). Structural and functional analyses of proteins involved in translation, DNA recombination, chromosome architecture, and signal transduction (H. Kurumizaka, S. Yokoyama). The importance of the hydrophobic pocket in actin subdomain 4 for Ca2+-activation of actin-activated myosin ATPase in the presence of Tropomyosin-Troponin (T. Wakabayashi et al.). Physiological functions and molecular structures of new types of hemoproteins (Y. Shiro et al.). Unity and diversity in biological oxidation (J.A. Duine). Index of authors. Index of key words. 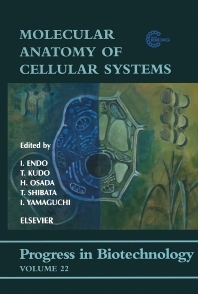 In this book, the progress during the last ten years is reviewed and future plans outlined to realize and establish the concept of design in the biological sciences. Design is a leading concept as well as the principal motivation for the creation of artificial systems. A successful design generally requires that the structures and functions of the elements that constitute the system as well as the principles that determine how the elements cooperate together to create function be fully understood. These requirements have not been satisfied within the fields of biotechnology and medicine. Compared to the recent emergence of artificial systems, living organisms acquired their present day structures and functions through evolution over three to four billion years. Despite the fact that the design of living organisms is recorded in the DNA sequence, our understanding of the structures and functions of the elements that constitute living organisms is very limited. To fulfill the requirements, the following approaches were initiated under a ten-year project entitled "Biodesign Research". Firstly, we tried to isolate and characterize the functional elements that constitute the organelles of various organisms. Secondly, we tried to reconstitute systems that reproduce biological functions in vitro from individual elements in order to understand how the elements cooperate together to yield a function. Thirdly, we attempted to resolve biological structures at various resolutions ranging from the atomic to the cellular level to further our knowledge about the fundamental principles that various functions at the molecular level and to design artificial systems.